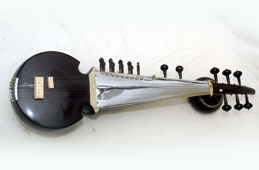 Sarod is one of the most popular traditional north Indian stringed instruments. Its history is contentious – while some say the instrument found its roots in the Afghan Rabab which made its way from Afghanistan to India through nomadic tribes; others argue that the instrument morphed into its current form from a type of Veena popular in north India. Sarod is one of the most popular traditional north Indian stringed instruments. Its history is contentious – while some say the instrument found its roots in the Afghan Rabab which made its way from Afghanistan to India through nomadic tribes; others argue that the instrument morphed into its current form from a type of Veena popular in north India. It is certainly one of the most melodious instruments that one can find in north Indian music with its deep tone and resonance. For those new to Indian music, the word Gharana means a house or a musical family. While strictly not restricted to a family any more, the tradition of music is passed on from Guru to disciple, and thereby a lineage is maintained. 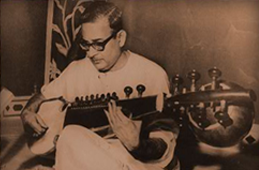 The word Gharana is particular to north Indian classical music. In north Indian or Hindusthani classical music, as it is referred to, Gharanas are found for vocal, instrumental and percussion music as well as for classical dances. The significance of Gharanas in Hindusthani music is in them being linked with the development of a particular type of instrument, as well as in their portrayal of different styles of performance. 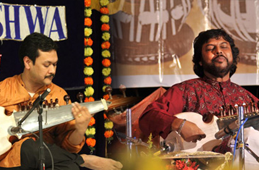 The earliest Gharanas can be traced to the 16th and 17th centuries. The roots of the Shahjahanpur Gharana date roughly to the 16th century. 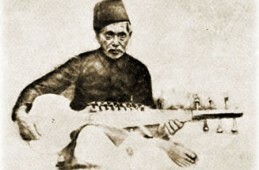 This Gharana is said to have played a key role in the development of the modern day Sarod. Along with the metamorphosis of the instrument from the Afghan Rabab, the playing style also evolved, combining the bold, rhythmic, strumming patterns with the subtleties of intricate Indian melodies or Ragas as they are called. Over the years, the Shahjahanpur Gharana contributed many eminent Sarod players or Sarodias as Sarod players are commonly called. The wealth of music contributed by Ustad Murad Ali Khan, Ustad Mohammed Ameer Khan, Pandit Radhika Mohan Moitra and Pandit Buddhadev Dasgupta has been enormous and has greatly served to enrich the Gharana to one of the finest in instrumental music in north India.